PPCTS, the USA and Canada distributor and Meler will be exhibiting at the PRINT 13 / CPP Exhibition at Chicago McCormick Place, September 8-12, 2013 at booth #1481. Visitors will be able to find a range of products and solutions for PUR and EVA Hot Melt adhesives applications, like the B4 and Micron series melters, application heads and heated distribution hoses. 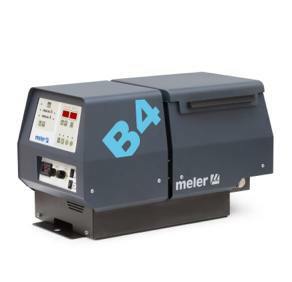 With over 25 years of experience, MELER is a leading manufacturer of Hot Melt EVA and PUR application systems and components. MELER's large and complete range of products, allows them to resolve any adhesive application needs in many and diverse sectors that include the Graphic Arts, Book Binding & Paper Converting, Mailing & Fulfillment, Packaging, Non-Woven products, Food, Chemical & Pharmaceutical, Automotive, Wood and Furniture, Textiles and more. PPCTS is a supplier/distributor, manufacturer and manufacturer’s representative of quality products and equipment. PPCTS offers a “systems approach” to equipment needs and production requirements, with customer specific solutions and over 30 years of industry experience. For more information, please contact Mr. Richard McDonald at 262-695-7536, info@ppcts.com or visit their website at www.ppcts.com/meler.htm.